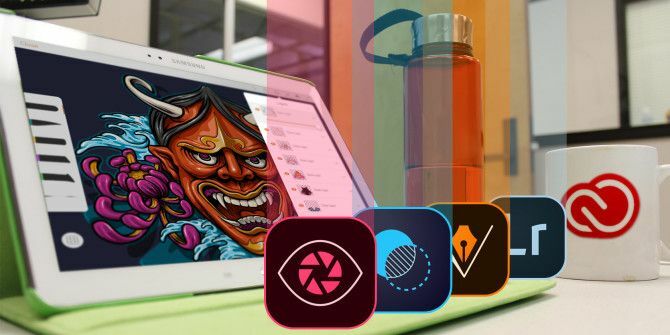 Should You Download Adobe's Creative Cloud Android Apps? Should You Download Adobe’s Creative Cloud Android Apps? Back in April, Adobe promised to pay more attention to the Android side of its mobile app collection. Over the next several months, new apps were added to the Play Store and continued to receive regular updates. But the real question is, have these apps progressed enough to be worthwhile? If you expecting Adobe to replicate the desktop photo-editing experience 10 Easy-to-Use Photo Editing Programs for Newbie Photographers 10 Easy-to-Use Photo Editing Programs for Newbie Photographers If Adobe Lightroom seems too complex for you, check out these easy-to-use photo editing programs for beginners. Read More on mobile devices, prepare to be disappointed. Mobile devices just aren’t equipped to handle that kind of workflow. As such, the Creative Cloud mobile apps are more like supplements than replacements. The good news is that these apps can all be used with a free Adobe ID. (A subscription is only necessary for core Creative Cloud components What’s New in Adobe Creative Cloud 2017? What’s New in Adobe Creative Cloud 2017? Adobe has just announced the latest round of updates to the Creative Cloud, their suite of design apps. Here's a quick rundown of the new features you can look forward to. Read More .) The bad news? “Free” may not be enough to redeem some of these apps. Let’s find out which ones are actually worth using and which ones you can ignore. Adobe used to maintain three separate apps called Color CC, Shape CC, and Brush CC. These still exist, but they’ve all been rolled into one big app called Capture CC, which is now akin to a creative Swiss Army knife. You can still install those other apps separately, but Capture CC is the main one to use these days. Colors: Use your mobile camera as a viewfinder and Capture will pull color schemes in real-time. When you find a color scheme that you like How To Pick A Color Scheme Like A Pro How To Pick A Color Scheme Like A Pro Colors are tricky. It might seem easy enough to pick a handful of colors that look good together, but as any designer who has spent hours tweaking shades will tell you: it's tricky. Read More , you can snap a shot and save it for later. Shapes: Use your mobile camera as a viewfinder and Capture will convert what it sees into vector shapes based on light-dark contrast. Tools are provided to help refine shapes before saving them. Brushes: Use your mobile camera as a viewfinder and Capture will take what you see and turn them into brushes that you can use in Photoshop CC and Illustrator CC. Tools are provided to help refine and adjust brushes. Looks: Use your mobile camera as a viewfinder and Capture pulls colors in real-time as source for video-enhancing filters that you can use in Premiere Pro CC and After Effects CC. Is it worth it? Absolutely. 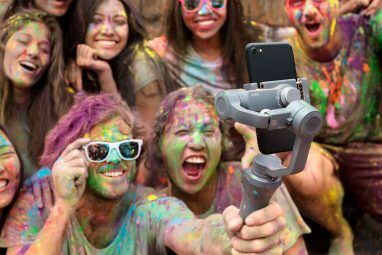 I’ve never seen another app that can do everything that Capture can, and the functions are useful enough to be considered more than just gimmicks. All colors, shapes, brushes, and looks that you capture are saved to your Adobe account. 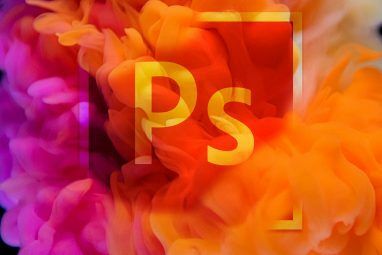 As you might expect, Photoshop Mix is the app you’d want for serious manipulation of photos and images — but don’t expect it to be as powerful or flexible as Photoshop CC for the desktop. Photoshop Mix isn’t barebones, but it’s still a far cry away from the desktop version. Adjust: These tools include alterations to Exposure, Contrast, Clarity, and Saturation. Don’t confuse Exposure with “photographic exposure”; rather, it actually appears to be a Brightness adjustment. Similarly, Clarity appears to be a Sharpness adjustment. Looks: Apply dozens of different filter effects to the selected layer. What’s cool is that it doesn’t instantly apply the filter to the entire layer; rather, you can “paint” the filter by drawing on the screen. Using the above-mentioned Capture CC app, you can also create your own filters to use. Cut Out: Remove sections of the image by drawing and picking which areas to remove. Crop: Use a resizable selection box, you can crop the image The Basics of Photo Cropping That You Should Understand The Basics of Photo Cropping That You Should Understand Read More . Is it worth it? I think so. It has support for layers and most image editing functions that you’d expect from an image editor. But most of all, you can send Photoshop Mix compositions to Photoshop CC for even further refinement. Therefore, Photoshop Mix works well for preliminary post-production. Note: For an optimal experience, use Photoshop Mix on a larger device (e.g. a tablet) with above average hardware. Anything less and the experience may be less than satisfactory — it’s a demanding application. The Lightroom app is a lightweight version of the desktop Lightroom, but even so, it offers a handful of nifty features that any photographer will find useful — amateurs and hobbyists may even be able to make do with only the mobile Lightroom app. Crop: Lightroom’s crop function offers more precision and control than the crop function in Photoshop Mix. It can lock to aspect ratios, change orientations, and even auto-straighten tilted pictures. Want to rotate freely? You can. Presets: For quick image adjustments, Lightroom provides dozens of different presets under categories like Creative, Color, B&W, Detail, and Effect. Quick is good when you’re snapping shots on the go. 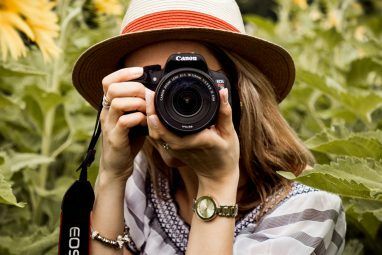 Photo: For those who know photographic exposure Key Photography Tips for Absolute Beginners Key Photography Tips for Absolute Beginners Our photography tips will help you take better photos, whether you're a beginner or have some practice already. Read More , Lightroom let’s you fiddle with that, too. White balance, exposure, contrast, highlights and shadows, whites and blacks — and much more. This is where Lightroom truly shines. Is it worth it? For photographers, absolutely. Portable access to exposure options is invaluable for mobile pictures. Other features, like synchronization with Lightroom desktop, make Lightroom useful — even as nothing more than a way to quickly push photos to your desktop workstation. There aren’t many apps available for digital painting on Android The 10 Best Drawing and Painting Apps for Android The 10 Best Drawing and Painting Apps for Android Looking to draw or paint on your Android device? Check out these digital art apps to sketch and paint anywhere. Read More , which is why Illustrator Draw is such a welcome member of the Creative Cloud. But unless you’re a digital artist Learn Digital Art from Scratch With These 22 Lynda Courses Learn Digital Art from Scratch With These 22 Lynda Courses With hundreds of online courses to choose from, Lynda.com is the fastest way to mastery of digital art. Here are a few courses to get you started. Read More , you probably won’t appreciate this app for what it is. At its core, Illustrator Draw is a vector drawing app. It works best if you have a tablet with an accurate stylus, but even if you don’t, you can still use it for doodling and casual works. It supports layers, toggles into fullscreen mode, and provides several pen types. Shapes can be imported from Capture. What’s cool about this app is its incorporation of the Behance community. Within the app, you can browse “community drawings” that others have uploaded, and you can publish your own drawings for others to see. You can also share directly to Twitter and Facebook, or more privately send drawings straight to desktop versions of Illustrator and/or Photoshop. Is it worth it? For most people, no. If you don’t draw, then this app offers pretty much zero value. If you do draw, you’re better off with a dedicated drawing tablet The Best Graphic Tablets and Graphics Programs for Digital Design The Best Graphic Tablets and Graphics Programs for Digital Design We've rounded up the best graphic design tablets and software to use if you want to break into cartoons and other forms of digital art. Read More and working directly with Illustrator CC. Personally, I think Capture is the coolest offering of the bunch. It makes a lot of sense as a mobile app and does something that few other apps do. I might even say that I’m impressed by it. Lightroom and Photoshop Mix are less important, relegated to being supplemental tools more than primary workhorses. But unless you travel a lot and need the portability, it might just be more productive to stick with Lightroom and Photoshop on the desktop. On the other hand, I see little value in Illustrator Draw and consider it a big miss. What do you think of the Creative Cloud mobile apps? Are they useful or are they garbage? Know of any good alternatives? Share with us in the comments! Explore more about: Adobe Photoshop, Drawing Software, Photography. You must vested interest in Adobe capture. You said alot without saying anything useful that would help an average Android app user understand what adobe capture is and does. Just curious why you added a link to a scientific calculator?? Just marked that comment as spam. Thanks Shane!